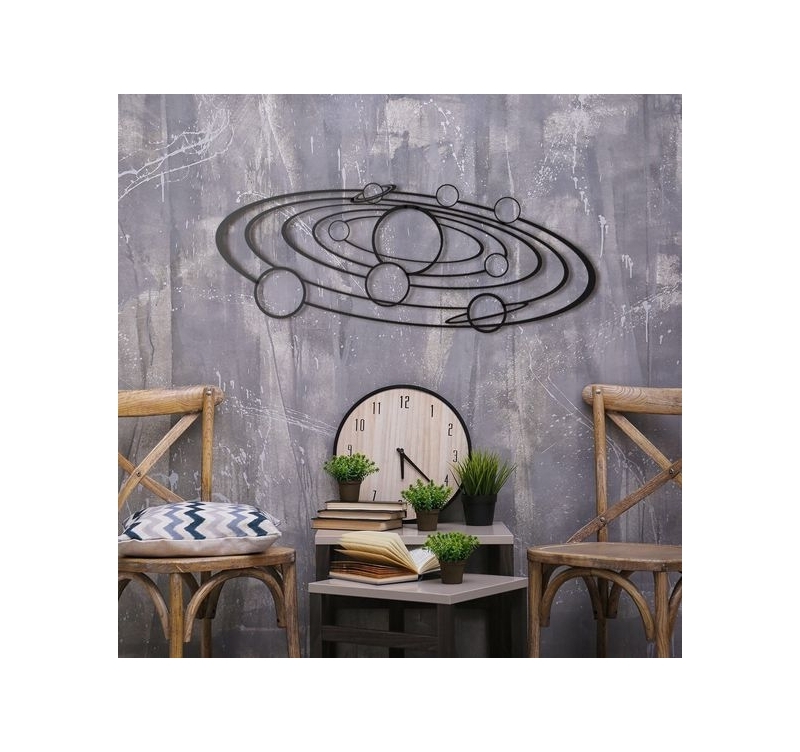 An unknown solar system as a metal wall decoration for astronomy enthusiasts. 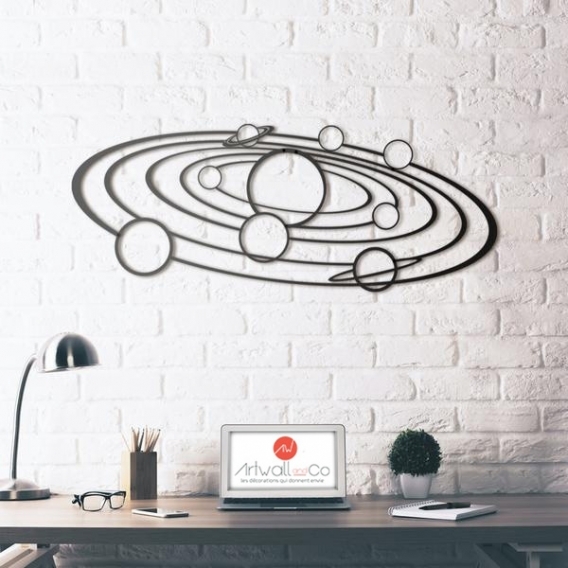 This design metal sculpture features eight planets that orbit around a large star. The dimensions of this metal decoration are 120 x 47 cm. For themed metal wall decorations, take a tour at Artwall and Co to be well served. Here is an example straight from the very imaginative universe of our artists. A solar system that differs from ours in the number of planets and their appearance. Indeed, two celestial bodies that revolve around the main star have a ring similar to that of saturn. 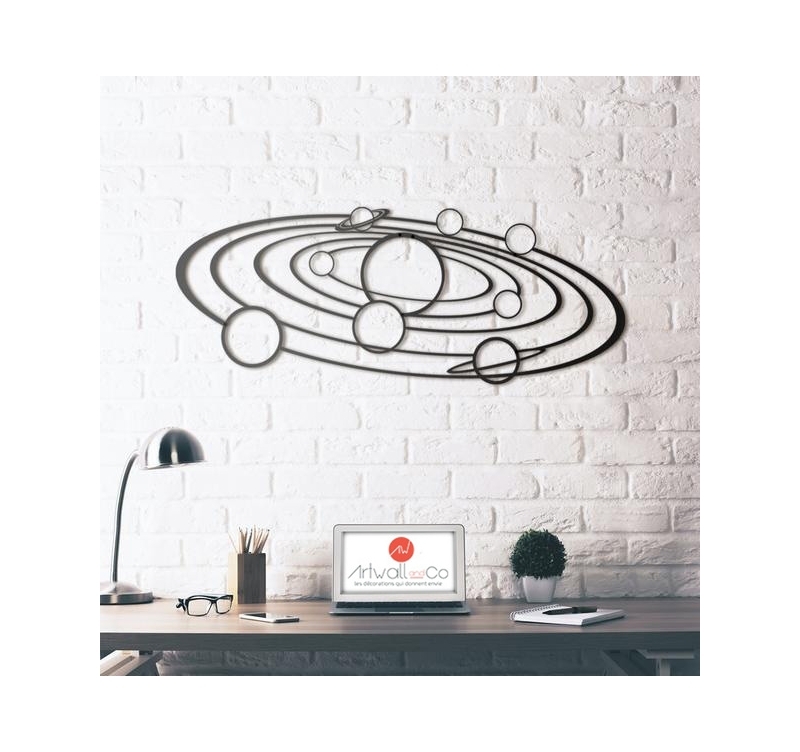 The trajectory of each planet is clearly defined, giving the metal wall decoration a scientific, mathematical look. A fully handcrafted accessory for quality optimization and artistic aesthetic rendering.